Major industry vendors announced their support for OpenCAPI, a new standard that provides an open, high-speed pathway for different types of technology – advanced memory, accelerators, networking and storage – to more tightly integrate their functions within servers. The idea is to re-architect servers to remove system bottlenecks, putting the compute power closer to the data -- and to do so with an open (non-Intel) design. 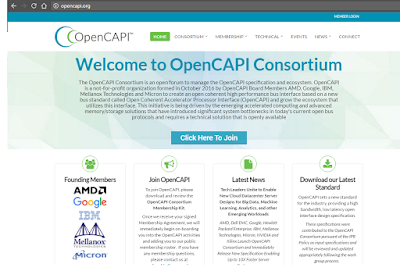 Backers of the newly formed OpenCAPI Consortium include AMD, Dell EMC, Google, Hewlett Packard Enterprise, IBM, Mellanox Technologies, Micron, NVIDIA and Xilinx. OpenCAPI said its high bandwidth, low latency open interface is capable of 25 Gbps, outperforming the current PCIe specification which offers a maximum data transfer rate of 16 Gbps. 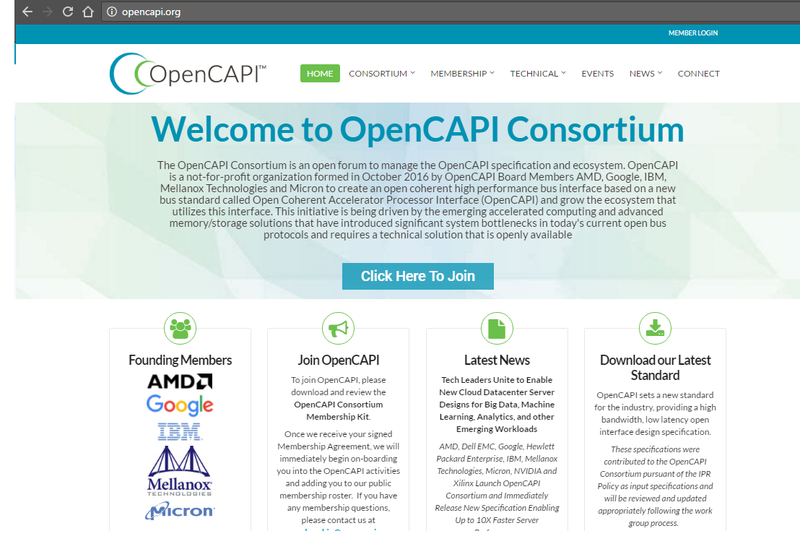 The OpenCAPI consortium said it intends to make the OpenCAPI specification fully available to the public at no charge before the end of the year. Iron Mountain, which provides storage and information management services including colocation in secure data centers, signed a wind power purchase agreement that will leverage renewable energy sources to power as much as 30 percent of its North American electricity footprint. That capacity will be sufficient to power all of its Texas operations (more than 75 facilities) as well as additional states, providing long-term rate stability and with as much as $1.5 million annually in related cost avoidance. Under the deal, Iron Mountain will purchase 10 percent of the energy produced at the Amazon Wind Farm Texas, a 253-megawatt (MW) 110+ turbine wind farm in Scurry County, Texas, developed by Lincoln Clean Energy, a developer, owner and operator of clean power projects with a particular focus on wind and solar power in the United States. When completed in 2017, Iron Mountain’s share of the wind farm could produce up to 100,000 megawatt hours (MWh) per year – the equivalent of nearly one-third its power consumption for North America. 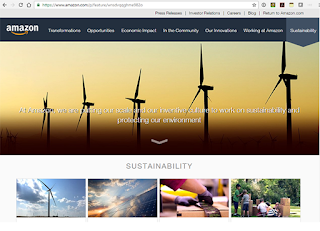 Amazon will commission a new 253-megawatt (MW) wind farm in Scurry County, Texas, that will generate 1,000,000 megawatt hours (MWh) of wind energy annually – enough energy to power almost 90,000 U.S. homes. Amazon Wind Farm Texas, which is scheduled to open in late 2017, will include more than 100 turbines and be the company’s largest renewable energy project to date. 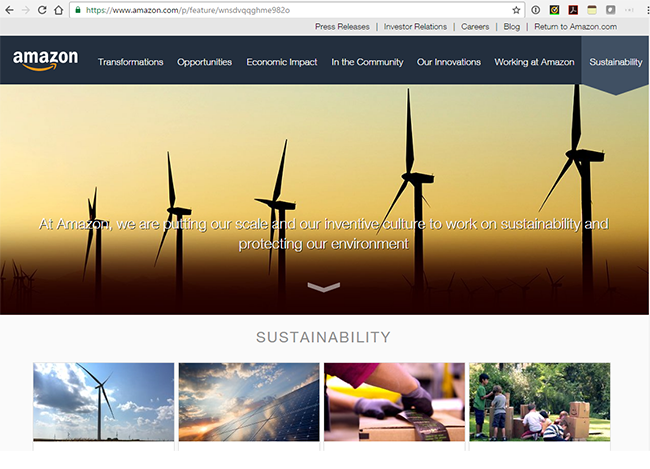 Amazon previously announced wind and solar farms in Indiana, North Carolina, Ohio and Virginia that deliver energy to the electrical grids supplying both current and future Amazon Web Services (AWS) Cloud data centers. The five projects together will generate more than 2.6 million MWh of renewable energy each year. 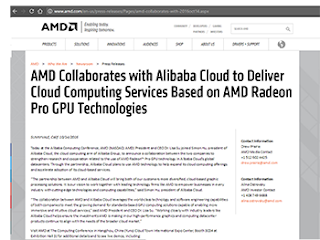 AMD and Alibaba Cloud (Aliyun) announced a collaboration to strengthen research and cooperation related to the use of AMD Radeon Pro GPU technology in Alibaba Cloud’s global data centers. “The partnership between AMD and Alibaba Cloud will bring both of our customers more diversified, cloud-based graphic processing solutions. It is our vision to work together with leading technology firms like AMD to empower businesses in every industry with cutting-edge technologies and computing capabilities,” said Simon Hu, president of Alibaba Cloud. An Alibaba Cloud Single Root Input/Output Virtualization (SR-IOV) Solution featuring AMD Radeon Pro server technology. The demo is powered by the Radeon FirePro™ S7150 x2 GPU featuring AMD Multi-user GPU (MxGPU) hardware-based server virtualization technology. 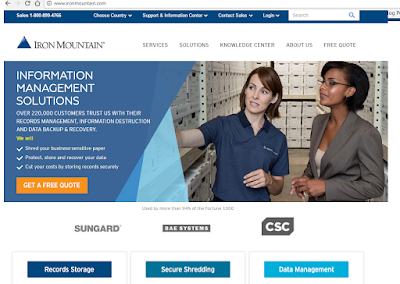 The solution features the industry’s only hardware-virtualized GPU technology, which provides guaranteed service levels and improves security for remote workstation, cloud gaming, cloud computing, and Virtual Desktop Infrastructure (VDI) implementations. A virtual reality (VR) experience demo powered by AMD Radeon VR Ready Premium graphics featuring AMD’s powerful, energy efficient Polaris graphics architecture. NTT Communications is extending its Multi-Cloud Connect services in the US. The service initially offers connection to Microsoft Azure and Office 365 on the West Coast and will begin connectivity on the East Coast in October. Connection to NTT Com's Enterprise Cloud in late October and Amazon Web Services (AWS) in November will follow. Multi-Cloud Connect enables customers of Arcstar Universal One – NTT Com's MPLS network service – to easily build a multi cloud environment. 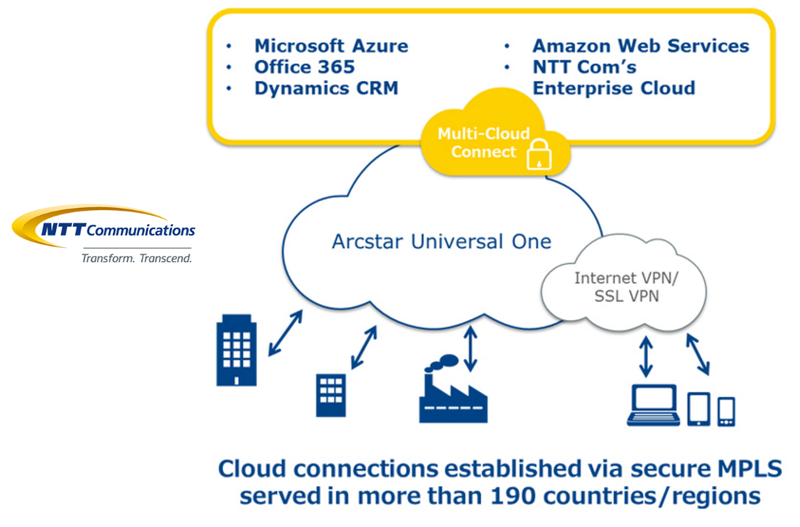 Instead of an internet connection, enterprises can connect to public cloud services as well as NTT Com's private cloud service through a highly secure MPLS VPN. Service expansion in Singapore and other Asian markets are also on the roadmap. Rivada Networks has been awarded US Patent 14/961,088: “Enhanced Location-Based Services using a single device with pseudo location positioning for improved 3D positioning”, which allows a mobile or iOT device to improve its position by, in effect, triangulating its location on itself. Rivada said that unlike traditional triangulation, its method is not dependent on other devices. The patent also enables to location software to work on much lower power consumption than alternative LBS technologies, and has the potential to dramatically improve the battery life of mobile devices. “Location based technologies at present consume battery power at an alarming rate, which renders their use in a disaster situation difficult. At times like that, when location services are essential, and power hard to come by, a solution which is more accurate and less power-intensive will be vital," stated Rivada Networks Chief Scientist Clint Smith. “Our patented technology will also improve the accuracy of the service. E-LBS, as patented by Rivada Networks, allows location to be identified precisely in three dimensions. By triangulating off the device’s own previous estimates of its location, we are able to triangulate the precise location of a device in all three dimensions with tremendous accuracy." Arbor Networks announced an enhanced version of the Digital Attack Map, a live data visualization of distributed denial-of-service (DDoS) attacks around the globe. The Digital Attack Map uses data from Arbor Networks’ Active Threat Level Analysis System (ATLAS), a globally scoped threat monitoring network that currently collects 140Tbps of anonymous traffic data from more than 330 service provider customers. This represents approximately one-third of the world’s global internet traffic. A change in architecture of the ATLAS system allows the Digital Attack Map to unlock 20X the data of the previous version in terms of the number and scale of the attacks presented. The new system architecture moves all of this data from batch processing to real-time streaming, thereby ensuring that the data is up to date, and as accurate as possible. Jigsaw, which is an incubator within Alphabet (Google's parent company) focused on addressing online censorship, is using the data for its mission.